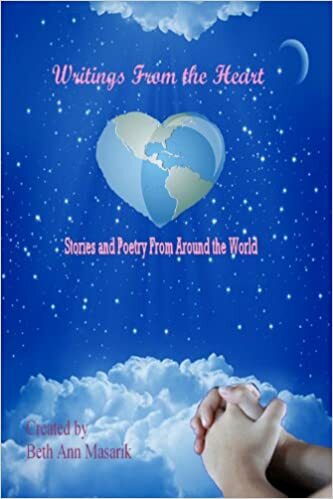 This anthology is a fund raiser for the Cardio Dept of a Children’s Hospital. Sharbenau realized at some point that he was not like the other squirrels in a few ways. In most regards he was a normal squirrel. He grew at the same pace, he liked most of the same foods, his tail was bushy the same as all the others. His temperament was also not that different from many of the others of his tribe. Sharbenau lived in a large colony of squirrels. They had 3 tribes, 2 of these had 15 families and the other tribe had 9 families in it. The older ones taught the young ones how to live and do well in the forest that they lived in. Like it or not, it became clear that some of the older squirrels seemed to ‘do better’ than the others. There were times that made Sharbenau very sad. When he was young this happened the most when he saw another get injured or sick. He hated to witness their suffering but did not want to turn away from them – he knew that would make him appear cold hearted when he was not. Well, that problem won a lot of Sharbenau’s attention for quite a time. Sharebenau thought that his grandmother meant well but was a little strange. The thing is, because she had been kind to him when he was feeling a bit sad or lonely or something – he remembered the incident. The squirrel children found that they often had enough time to play and to have fun as well as having time to learn how to take care of themselves and one another. Most of the time, they were told to stay home when it was dark. The real reason for this was to protect them from danger. There were other animals. The way that they saw things made it harder for the squirrels to identify danger during the dark time. It made it easier for them to make the young stay close during these times. Sharbenau felt this made sense and didn’t fight it. He was actually a very well behaved child squirrel. Most were, but a few of them seemed different. Over what felt like a very long time, he noticed what happened to the different individuals depending on what they did. There seemed to be 2 main effects amongst the more adventurous squirrels. Some had sad fates: they were often injured and many died young in tragedies. Others had happy fates. It seemed they were blessed with great energy and talents andadept at surviving. So, Sharbenau developed a new understanding of that type of squirrel. Even so, he did not stray far from his elders. It did not seem to be his nature to disobey or to go against sound advice. One day, when Sharbenau was out climbing a tree in an area where he was allowed he had a most unusual experience. A large crow, at least twice his own size,came near enough to him – they looked each other in the eye. The bird lowered its head and moved it towards the squirrel slowly. Sharbenau saw this large, sharp, dangerous beak coming at him but for some reason he did not feel the usual fear and he did not skitter away. Suddenly, he reached out one of his front paws, and tapped the bird on the beak.Well, after that happened, both of them panicked. The squirrel pulled back his hand very suddenly. The bird jerked back its head; this had never happened before! The bird cawed. The squirrel was terrified by the giant dangerous open mouth and horrible sound. Sharbenau began screaming and scampered along a few branches and fled to safety. There he panted, calmed down, resumed his daily life. The experience stayed with him. Because he remembered it so well, he felt it might have deep meaning. After his experience with the crow, Sharbenau tried helping others when one was hurt or injured. He did not do this every time no matter who it was, but he tried it. Over time, the others started to talking amongst themselves about it. They were starting to think that he might have some kind of power to help them. They wondered if it would work if they tried the same things – if it worked the same way that their elders could show them how to find food and what to eat. They also wondered if maybe it was Sharbenau. One day Sharbenau was out on an excursion. He was feeling more mature and quite proud because he was off on his own again. In truth, he had not gone far from home. He found a berry bush. He was joyful because he found his own meal without help for the first time in a long time. On this special occasion Sharbenau brought a small amount of the branch with him.Some time after that: it seemed like a long time, but it may have been two weeks,Sharbenau was with a squirrel who was not feeling well. Spontaneously, Sharbenau tapped the other squirrel with the berry branch, shouted 3 times, and danced around for half a minute. Then, just as suddenly, he just stopped. He suddenly felt embarrassed. He looked at the other squirrel, and found that the other was smiling at him. Sharbenau felt the fur on his tail fluff up. He pulled his tail in and around. Then quickly, Sharbenau found a way to just leave. Later, just 2 days later, there was a new sight. Sharbenau was at the nearest stream to get water. He saw the squirrel he had danced around and touched with the branch. The other’s health seemed much improved. Sharbenau the squirrel just watched silently from the shade. He was beginning to wonder if he had some kind of power after all, and wasn’t just imagining it. One day, Sharbenau was out – again, he was just a little bit apart from the rest of his group. He had not really left the group, or anything like that. He was on the side of a tree one day, head down on a large oak tree when another of these ‘strange events’ took place. Sharbenau felt the presence of another life form. It was a large creature, very large. The smell of it was noticeable but not unpleasant. He did not know what type of creature it was from the smell. There was the sound of movement, but the entity moved slowly. Sharbenau decided to keep still. He looked down. He looked at his front paws and felt the strong grip that he had on the thick oak bark. This was a very stable situation from what he could tell. Again, the large creature moved. This time, Sharbenau could look and see some part of it on the ground. It was like nothing he had ever seen before. He flitted his tail to and fro. He sniffed the light breeze. There was more motion. Sharbenau knew that he was taking quite a risk by not running off. He had a curious sensation in both his body and his mind. This time, another large portion of the creature came into view. It turned out that it really was gigantic compared to a squirrel but Sharbenau still thought it was much smaller than the tree he was on. Still, although his tail trembled slightly, Sharbenau did not snicker and he did not run. What happened was that the creature began to make noises; when Sharbenau still did not run, there was a minor miracle when the creature touched him without causing any harm. Sharbenau was not sure how to react. He was quite pleased but not sure why – probably simply because this type of event had never occurred before and might not ever happen again. The entire experience lasted just a few minutes. Then the large creature made a different set of sounds and started to move quickly. The squirrel felt a new type of pressure on his back and then he suddenly scrambled forward, down and then around and away from the strange creature. He went up much higher and away. In fact,Sharbenau never looked back. He told the other squirrels of his tribe about it. Well, they talked it about so much that the old ones heard about it. Eventually, grandmother squirrel told 2 of them that she thought the creature he had seen and that had touched him, might have been a human being. From that moment on, no one treated Sharbenau the way they had before.It was strange because the change was somehow subtle but in other respects obvious. Sharbenau wasn’t exactly sure what it was. Neither were the others, but it was something and they all knew it. After a long time, the squirrels developed a word for it,and they started to call Sharbenau a shaman. Slowly, they tried to share this information with the other tribes. Sharbenau himself felt a bit peculiar. After all, he was only trying to be himself;he was just this squirrel. He loved his family, he liked a lot of his life and he enjoyed the tribal lifestyle. For some reason he was a bit different from the others. He even worried about whether or not he would ever cure someone with the berry stick again – after it had worked the one time. The most amazing thing, was twofold. First, when Sharbenau returned to the tree where he had met the giant creature the one day, he sometimes found offerings. The other astounding fact is that for the first time in history, a human being realized – but didn’t understand why this idea occurred, that animals might have their own medicine people. This entry was posted in free children's stories, Uncategorized.